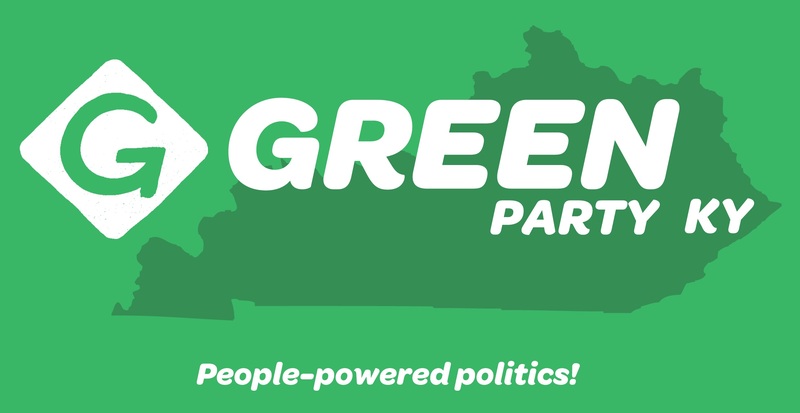 The Official Site of the Kentucky Green Party – People – Powered – Politics! The Ky Green Party came into existence during the Founding Statewide Convention held in Lawrenceburg, Kentucky, on Saturday, July 23, 2011, when the Green Party members present voted to approve the bylaws. To see the bylaws, please refer to the Documents section. Section 1 of the bylaws describes the party’s ten Key Values. We have adopted the platform of the Green Party of the United States by reference. In the future, the Ky Green Party may adopt platform provisions that differ in some nonessential respects from the national party’s platform, but we will never abandon the 10 Key Values. In brief, the Green Party is pro-environment, pro-working people, pro-diversity, and pro-peace.